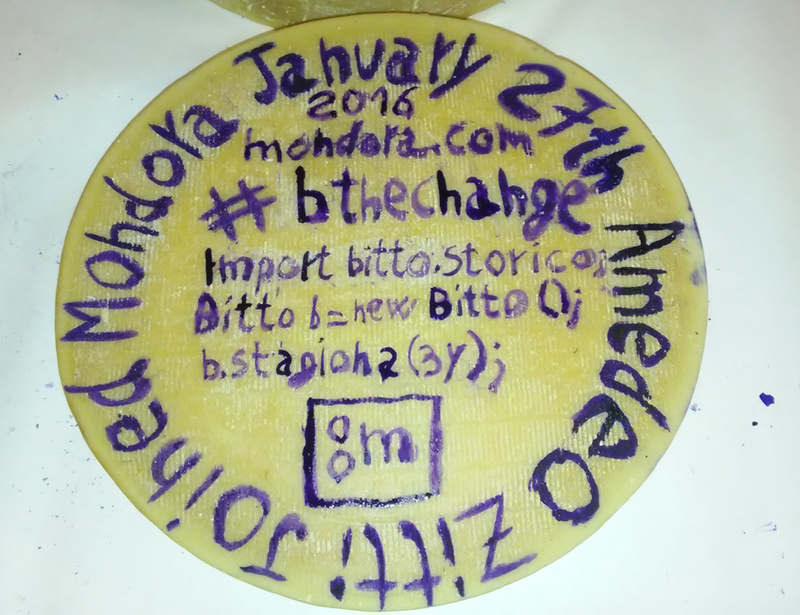 HireBitto is mondora.com’s innovative way of helping the local community by sponsoring local sustainable farmers and creating benefit for society! 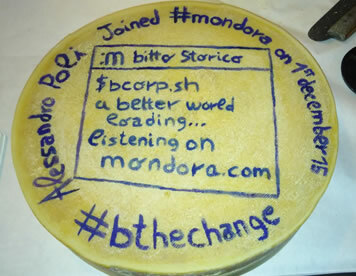 B Corps use Business as a Force for Good, and one way in which mondora.com does this is by facilitating the preservation of the local customs and traditions of the territory in which we work, by helping the people who keep these customs alive every day. 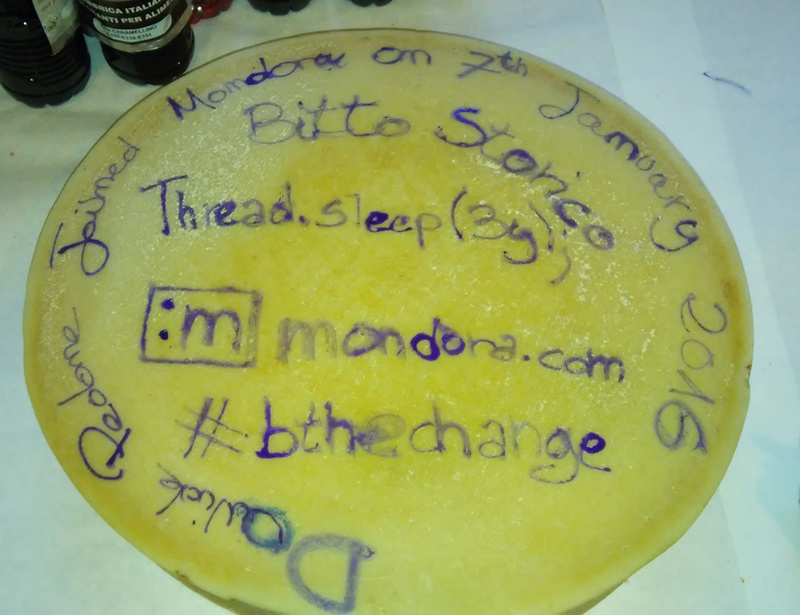 Read our rules and join us on HireBitto! 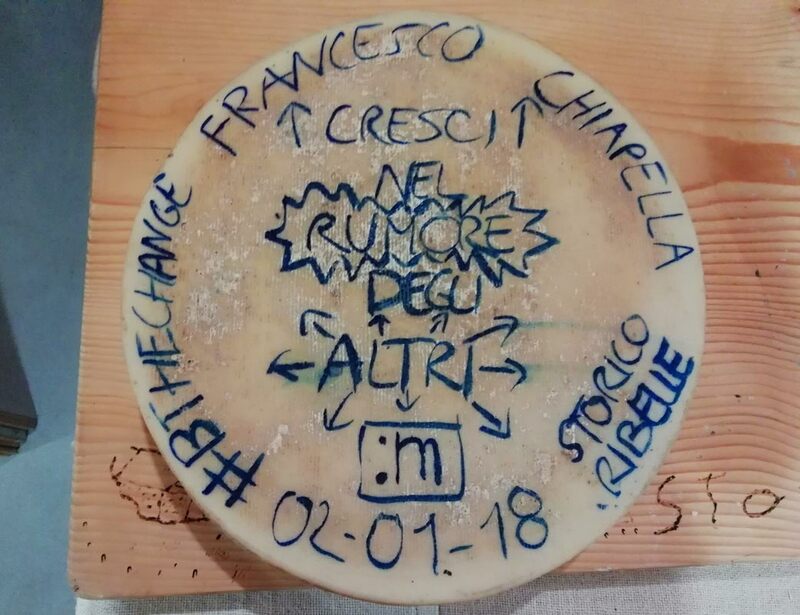 A one year old cheese is bought by the company for every new employee. 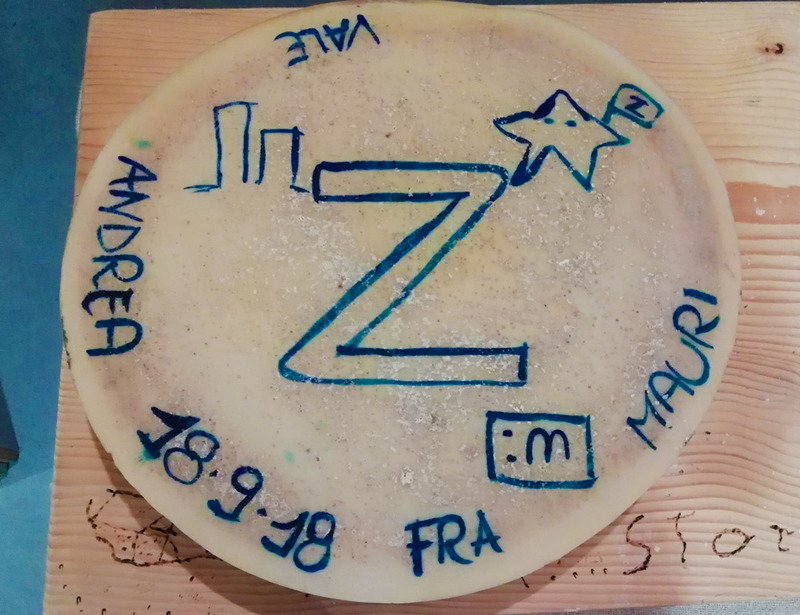 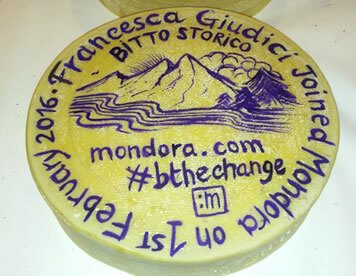 The employee decorates the cheese with blueberry ink and adds the company logo to the artwork. 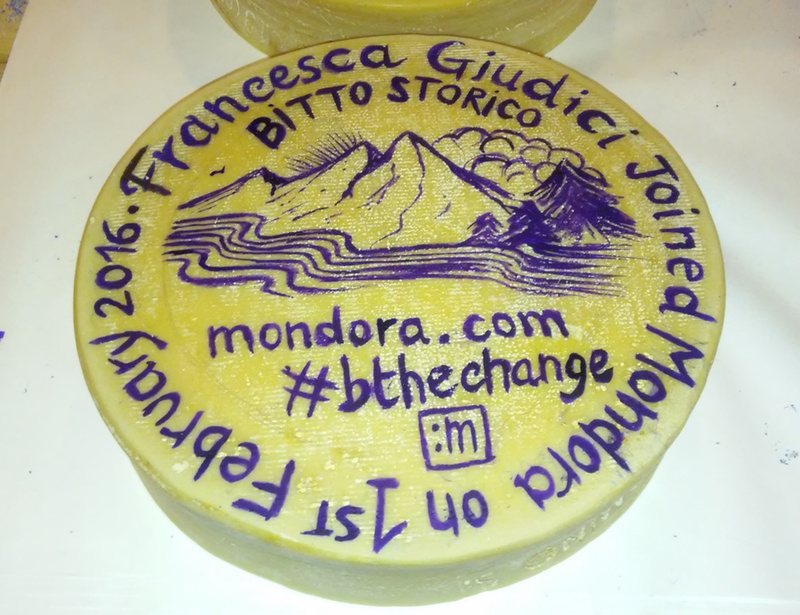 The cheese is the property of the community, not of the company or of the employee. 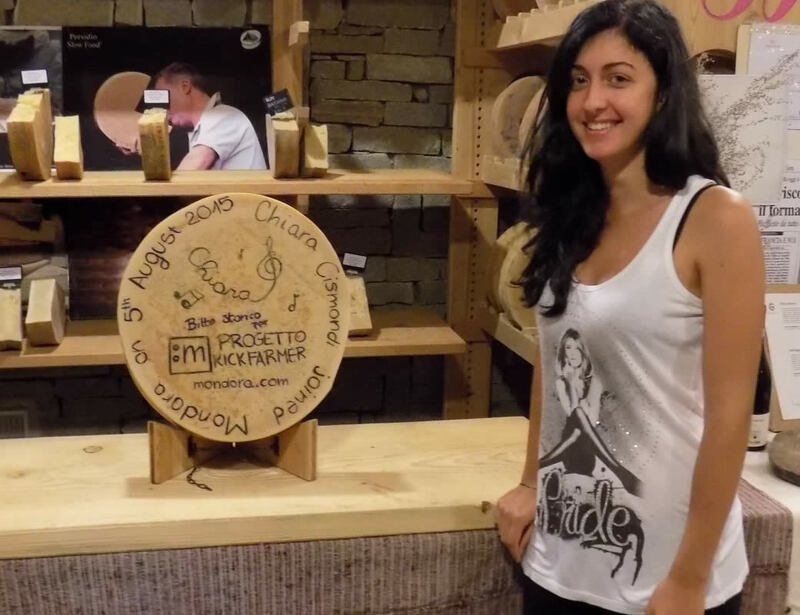 The cheese is cared for and kept in the Casèra for three years. After three years, the employee auctions it. 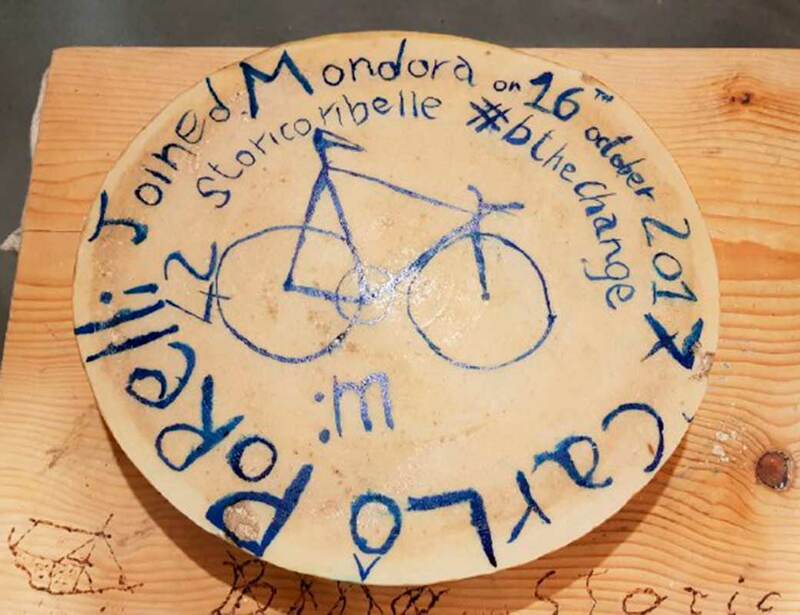 The employee chooses how to reinvest the auction sum and can choose to buy more cheese or sponsor another local sustainable project. 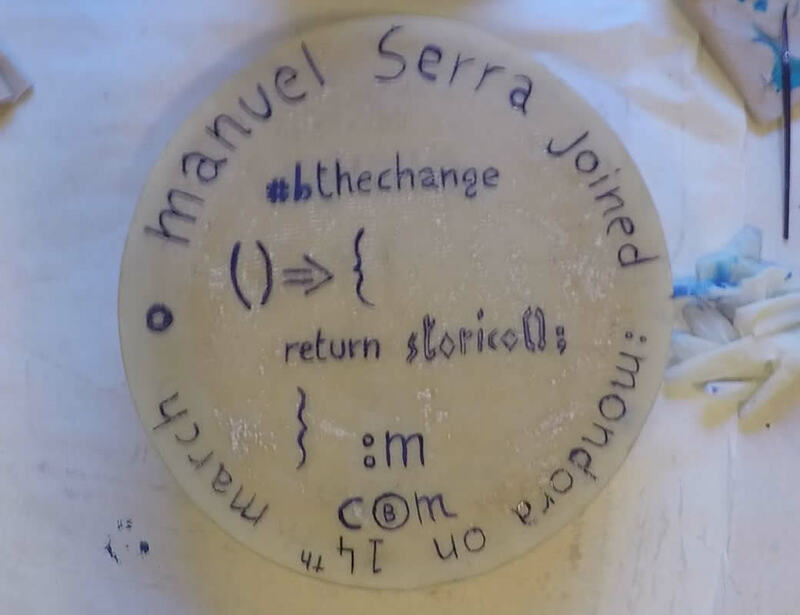 The community benefits every time! 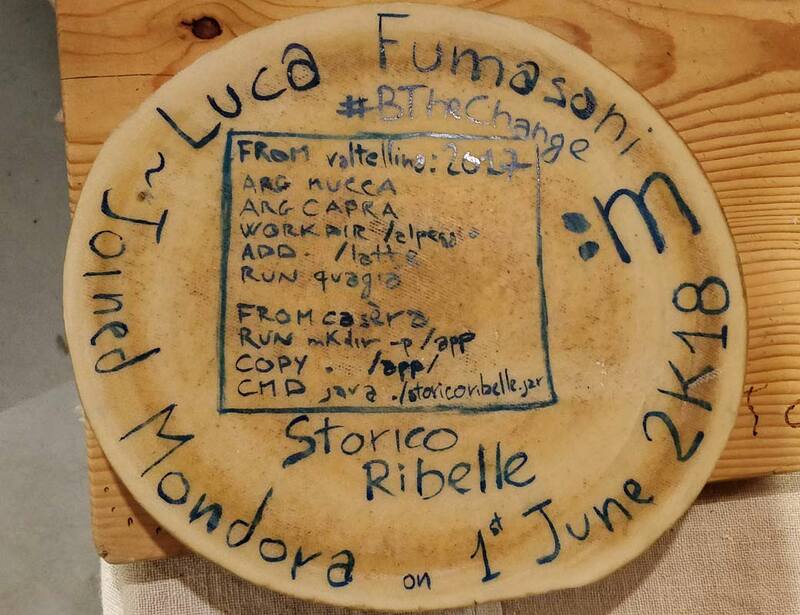 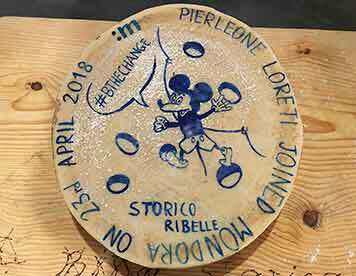 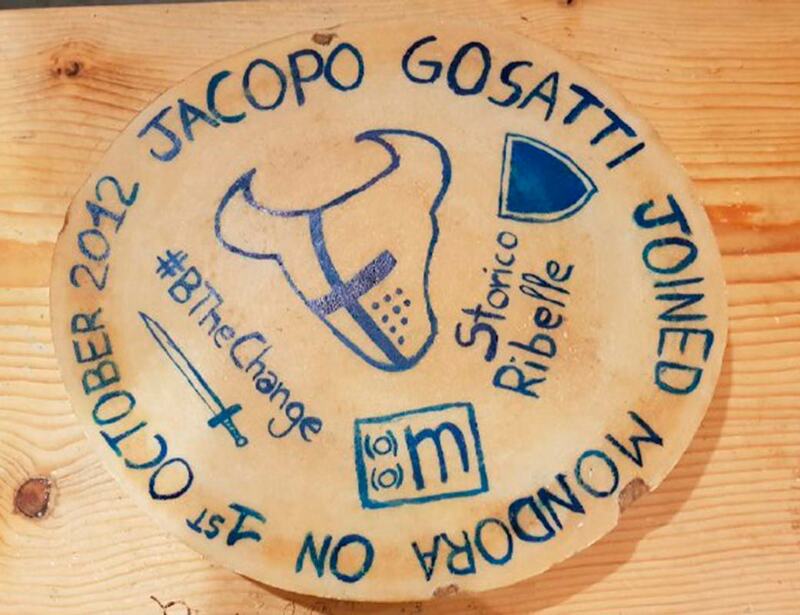 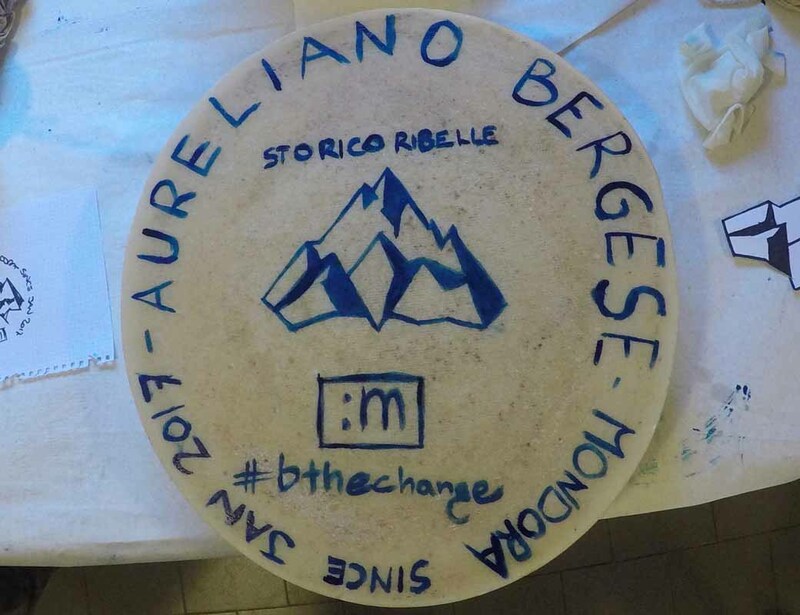 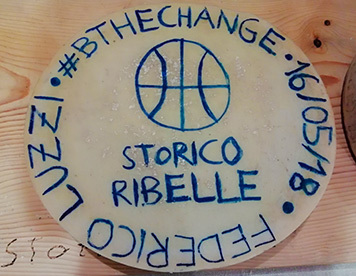 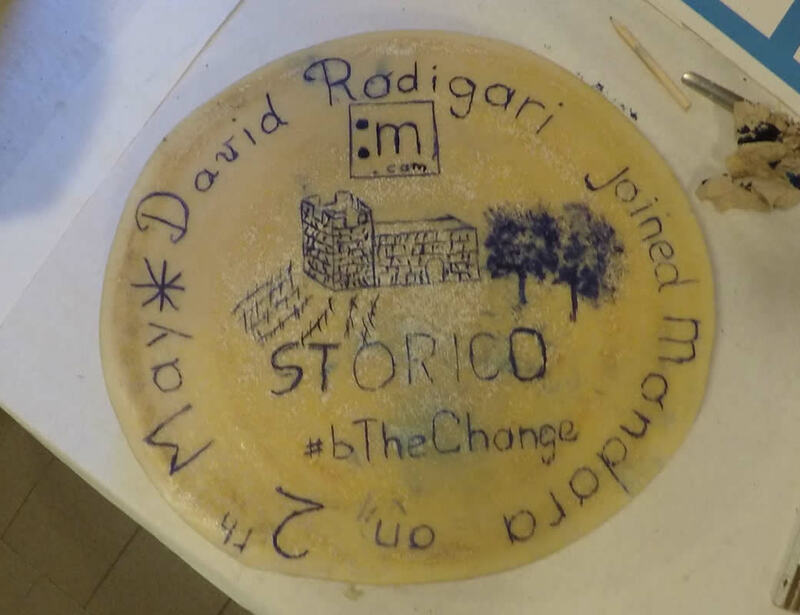 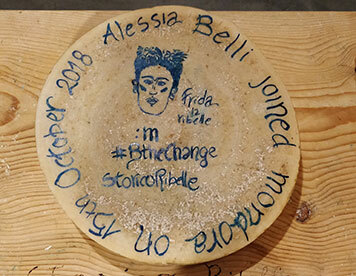 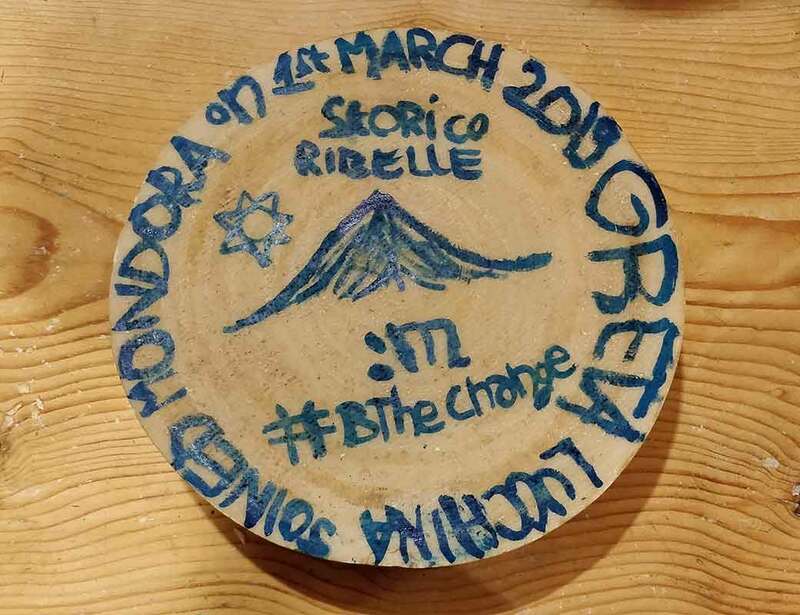 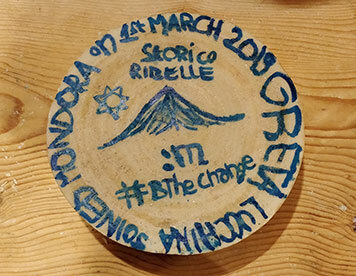 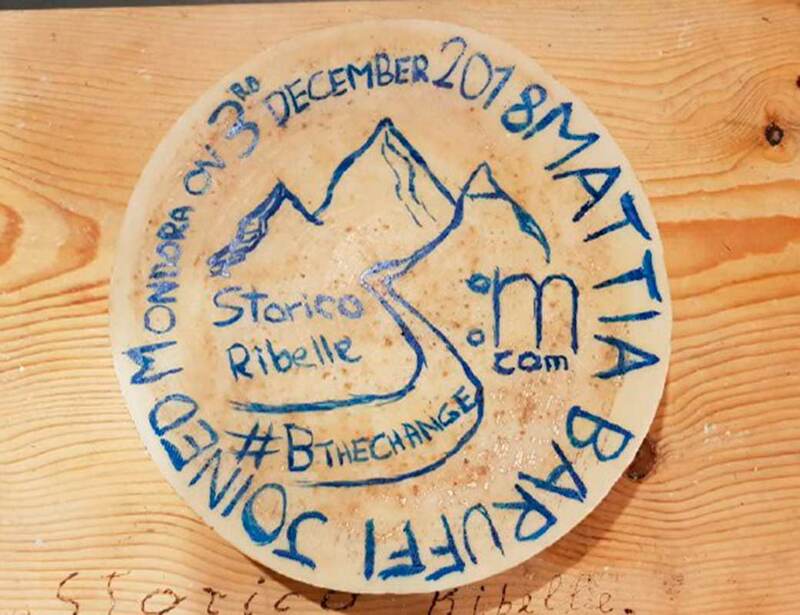 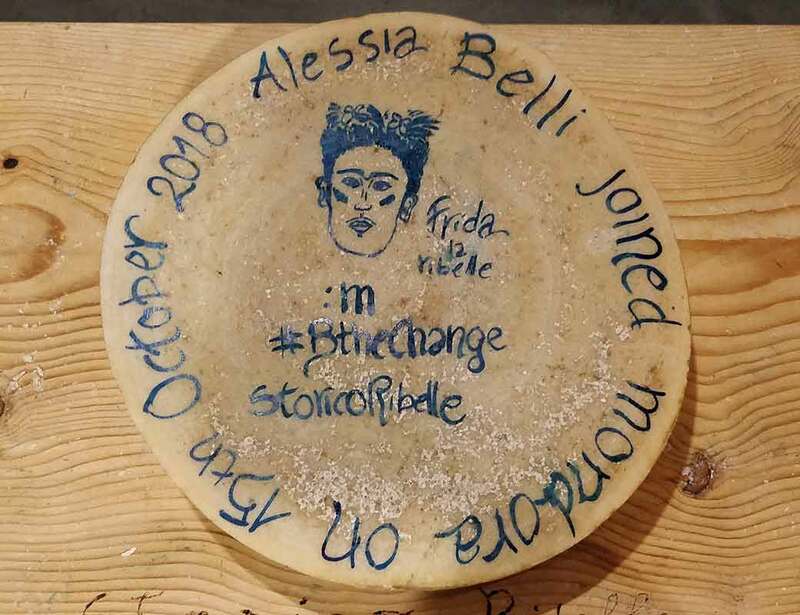 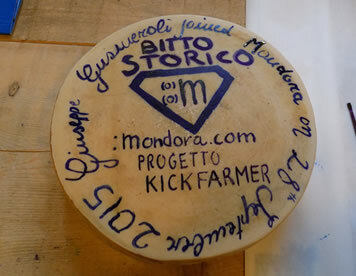 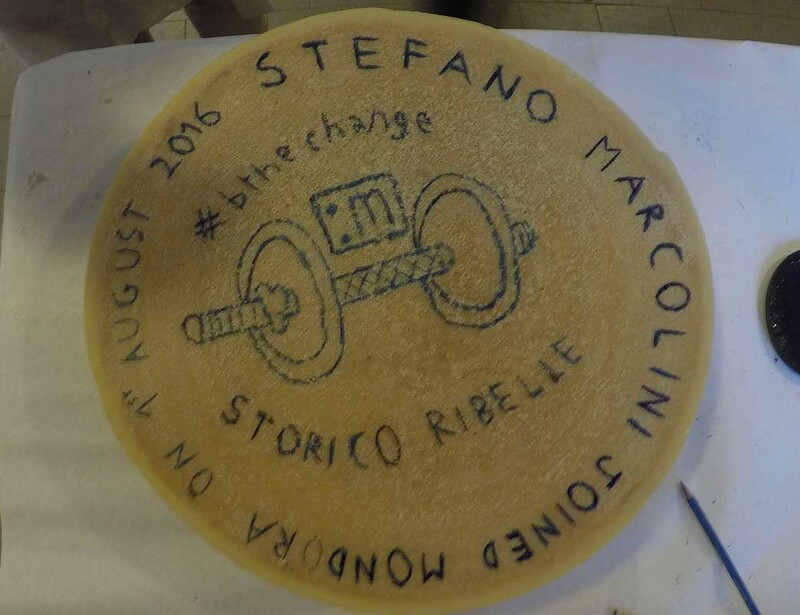 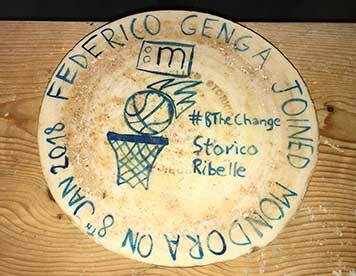 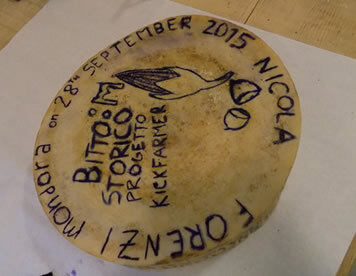 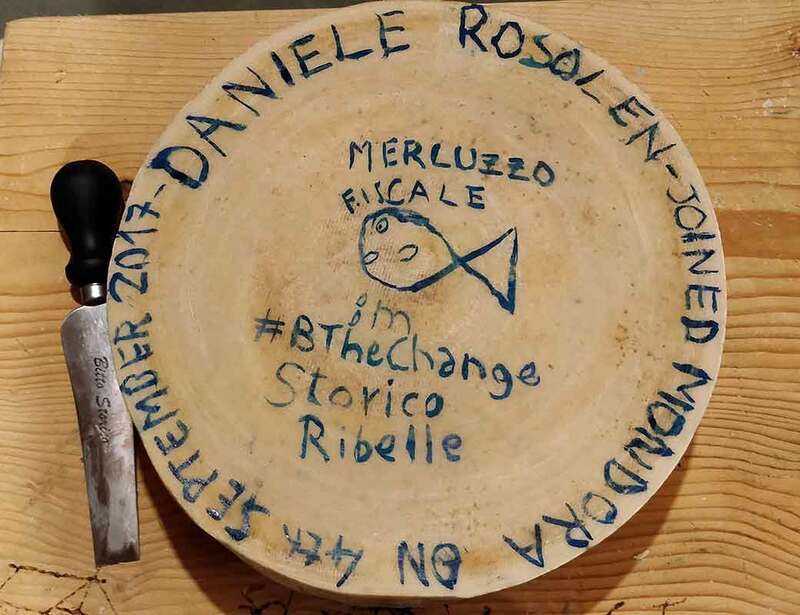 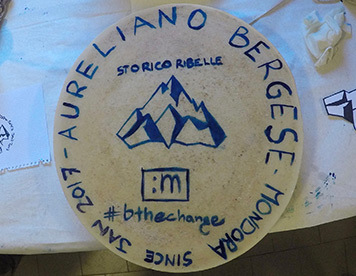 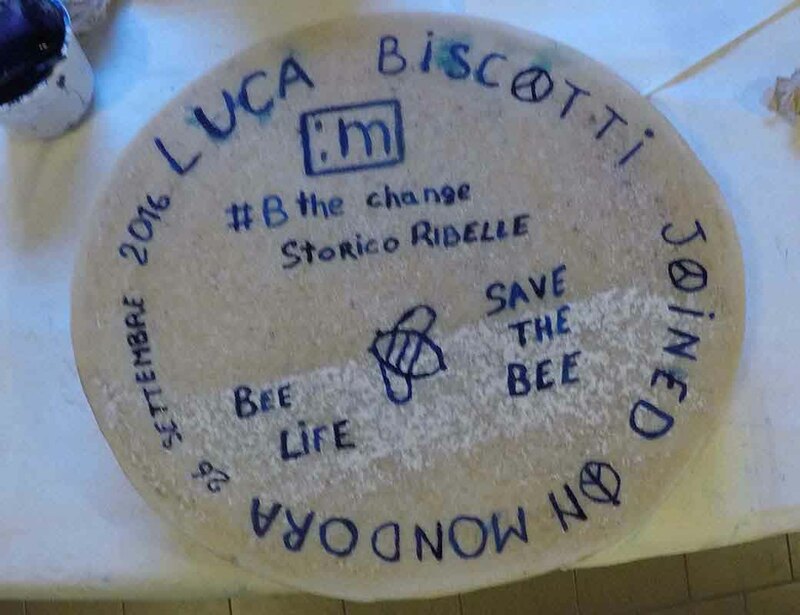 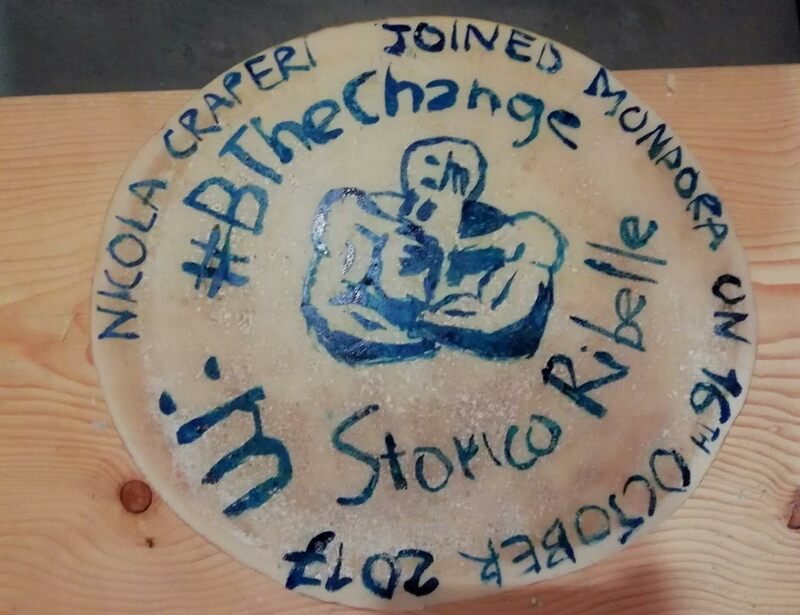 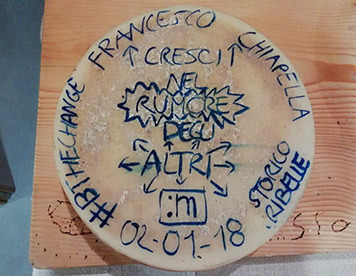 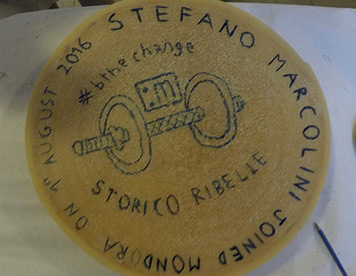 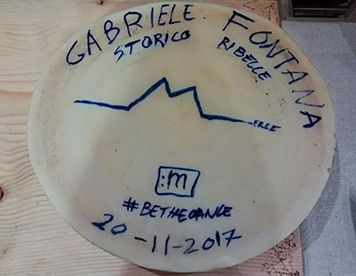 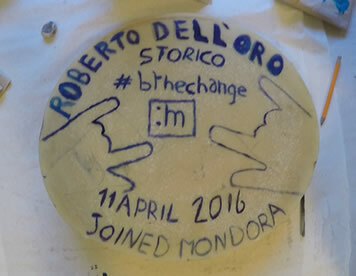 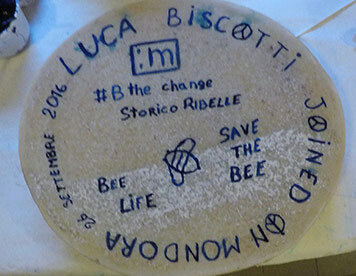 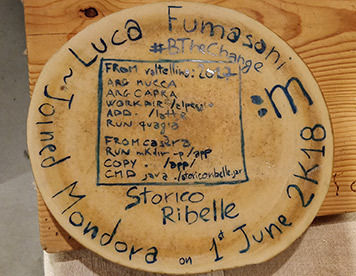 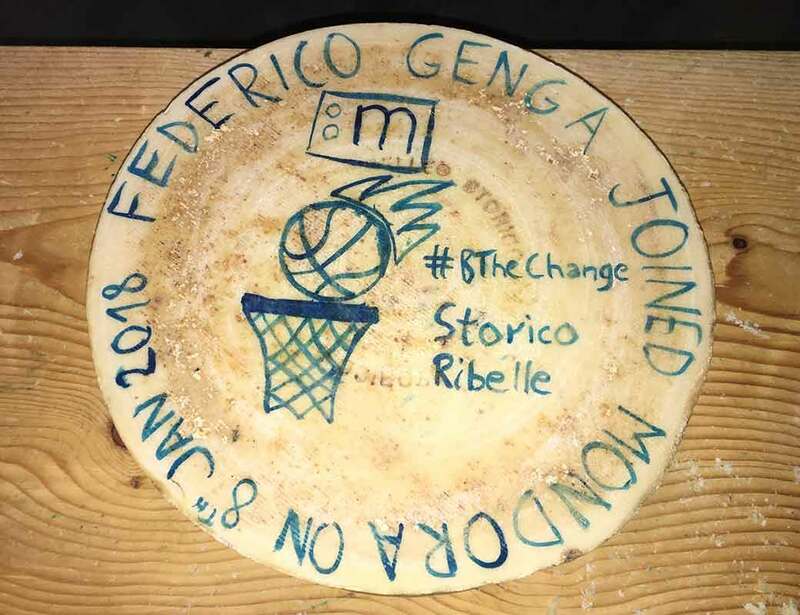 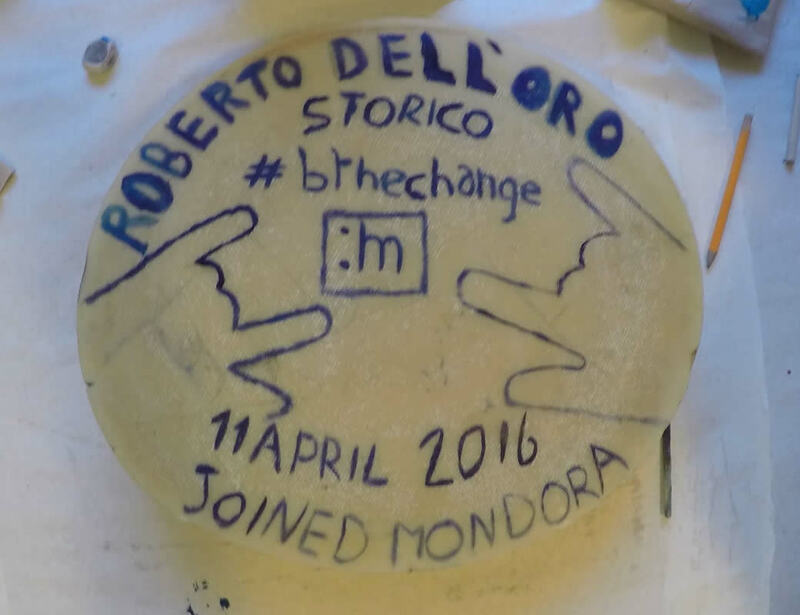 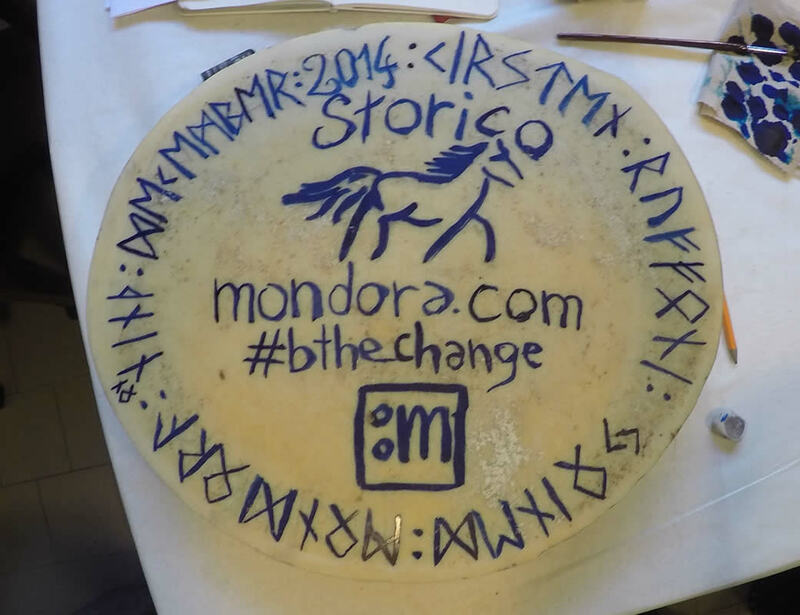 mondora is sponsoring the preservation of Bitto Storico by buying a wheel of cheese for every new employee. 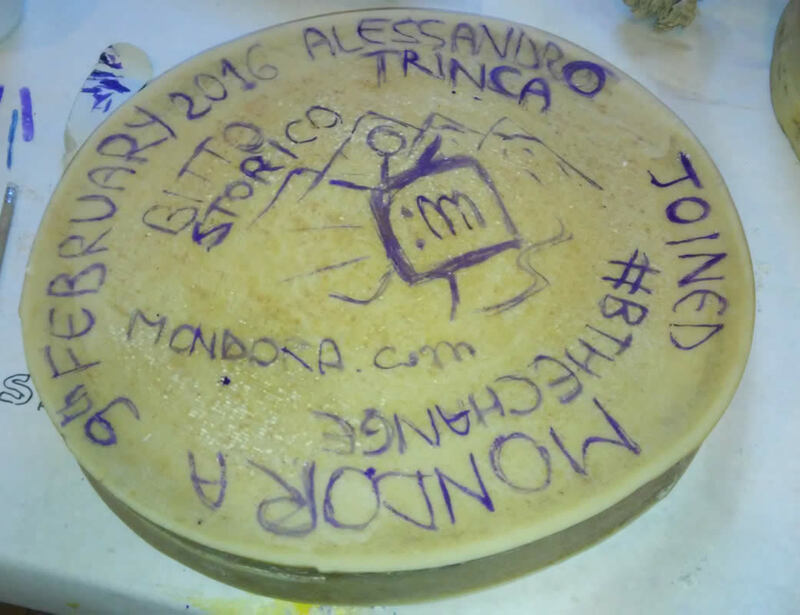 A new team player has joined mondora. 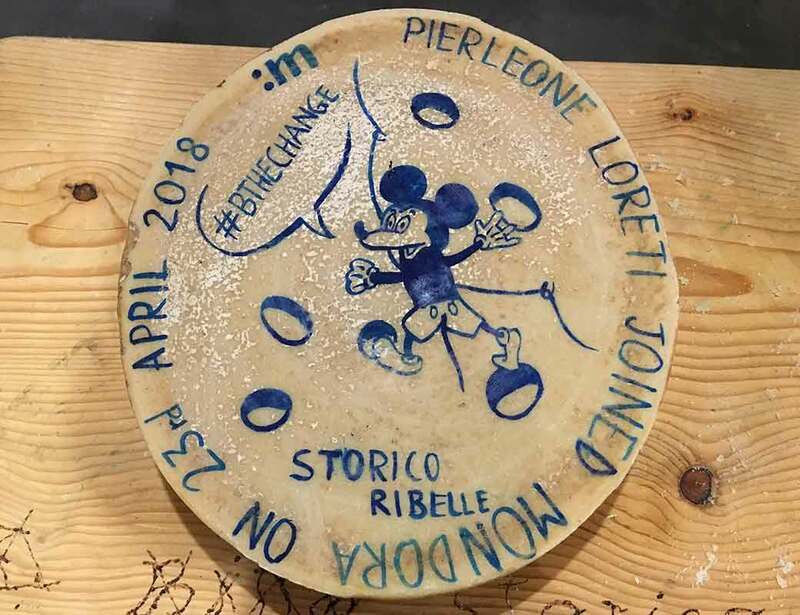 How do we celebrate? 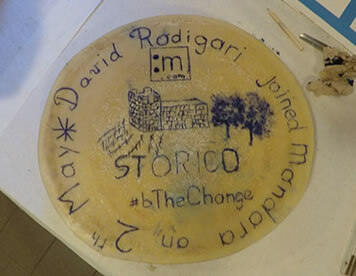 How can this celebration be of value to the company, and to the local community in which the company operates? 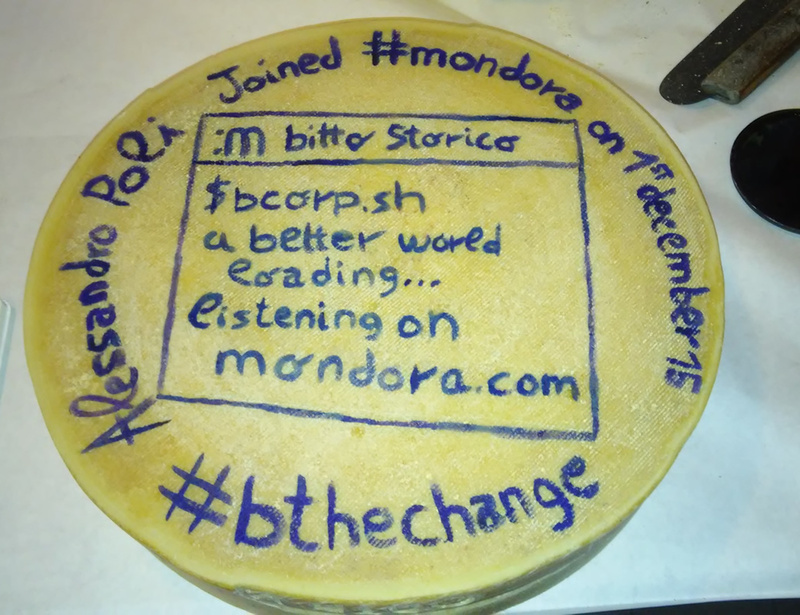 mondora is growing fast, and new people are joining the team. 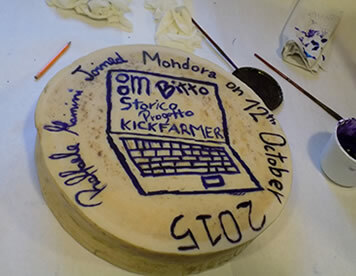 We want to celebrate these achievements and the new talents that join us in a way that is profitable. 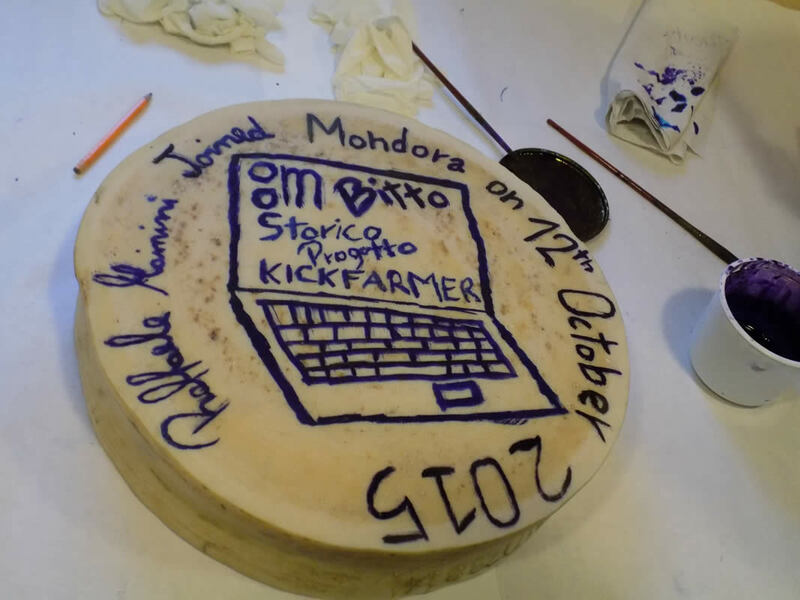 Not profitable to us, but profitable to the community. 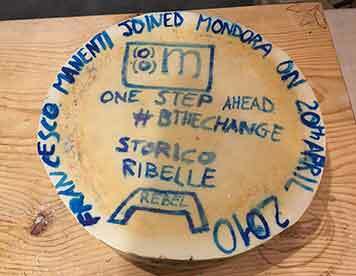 So what can we do? After much discussion we decided we would celebrate each of our new talents by sponsoring a good cause, a local cause. 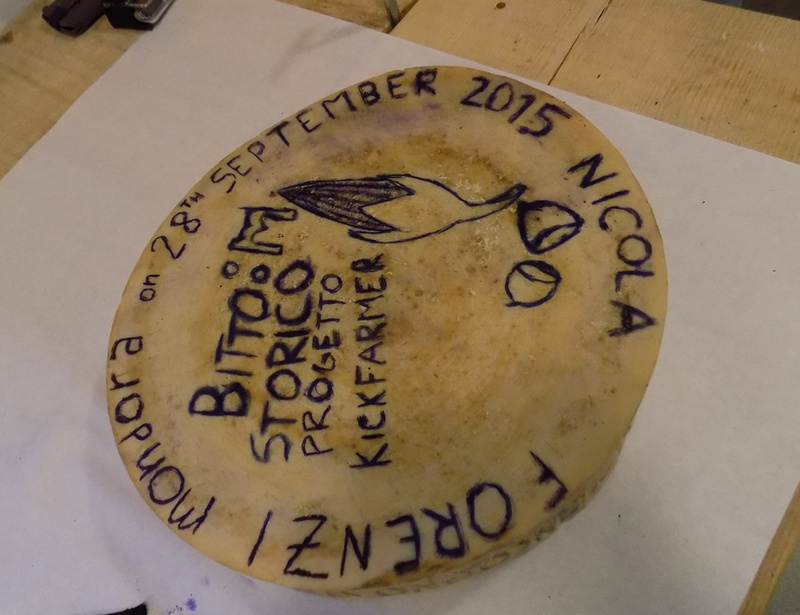 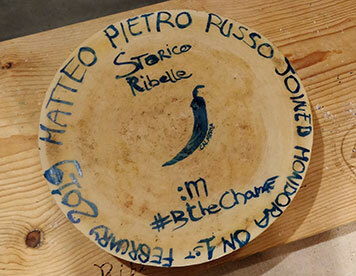 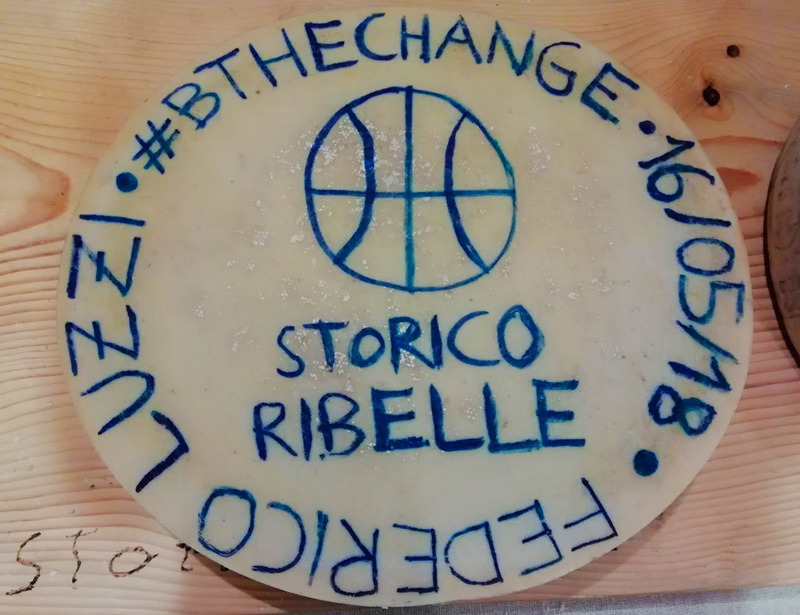 We decided to help the preservation of Bitto Storico cheese. 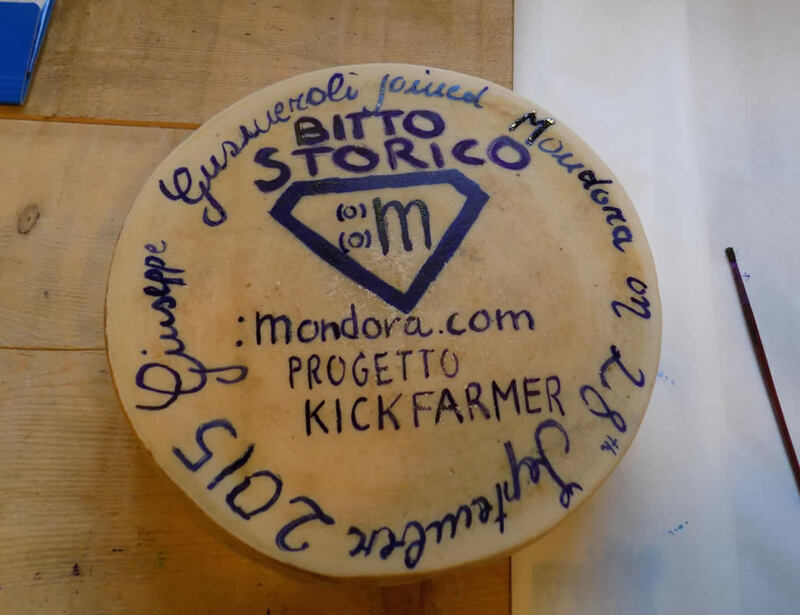 mondora has a busy office in Valtellina, which is a rural area in the Italian Alps. 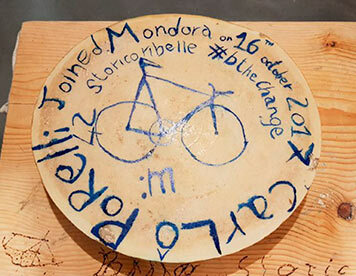 Many of mondora’s team players are from Valtellina. 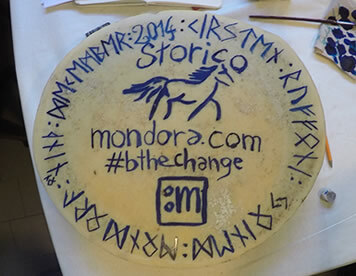 The area is rich in customs and traditions, which are threatened daily by the current economy. 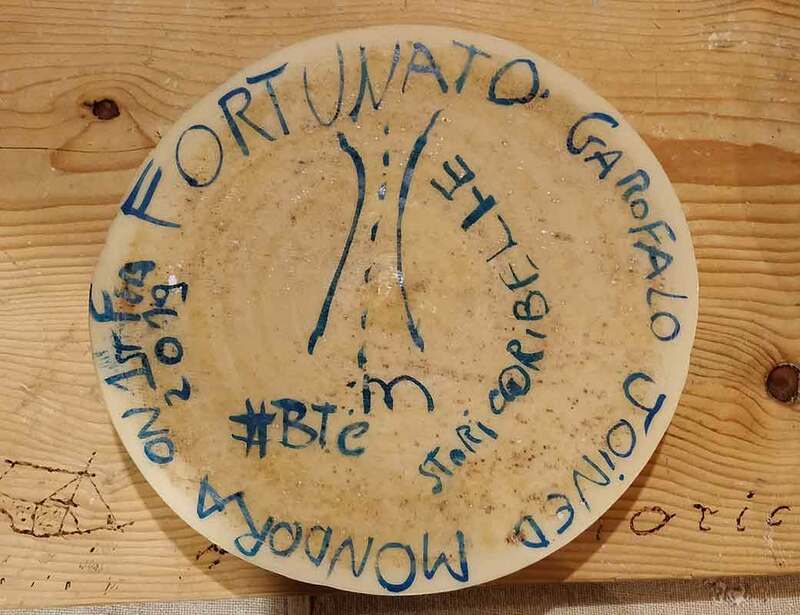 We don’t give your personal information to any third-party services, except when it’s necessary to provide HireBitto’s Services (like when we partner with payment processors). 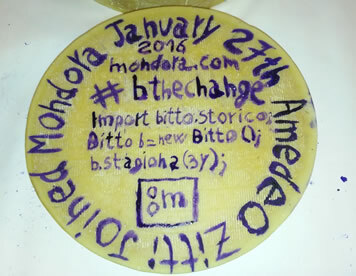 We require that these third-party services protect your personal information to the same standards we do. We reserve the right to disclose personal information when we believe that doing so is reasonably necessary to comply with the law or law enforcement, to prevent fraud or abuse, or to protect HireBitto’s legal rights. 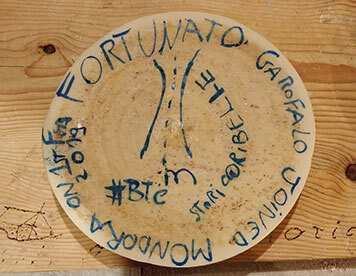 and use for other purposes that we may disclose to you when we request your information. 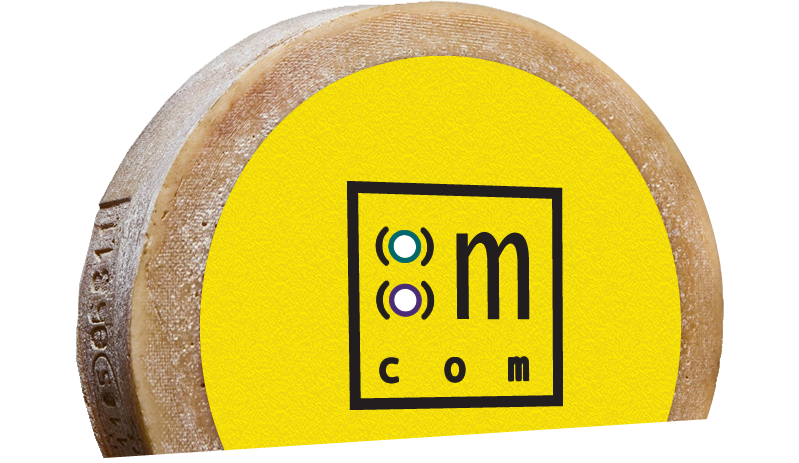 We keep emails to a minimum and give you the ability to opt out of any marketing communications we send. 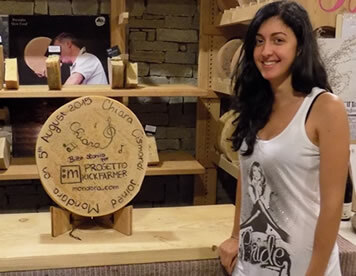 We will send you email relating to your personal transactions. 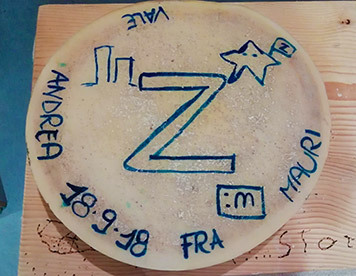 You will also receive certain marketing email communications, in accordance with your preferences, and from which you may opt out at any time. 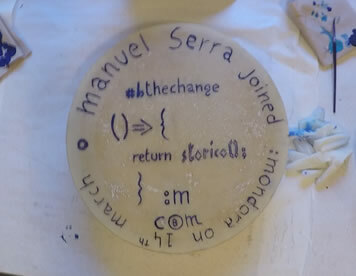 We may send you service-related announcements on the rare occasions when it is necessary to do so.